This season I returned to the boat more prepared to keep the music going. I'm a bit of a contrarian amidst many musically inclined sailors here in Mexico. Unfortunately I can't just pick up a guitar, harmonica, mandolin or keyboard, and jam. As a classically trained musician (amateur! ), I prefer to read music, and be sober when I am playing. That keeps me away from a lot of impromptu music events! Shindig became a musical storage vessel this fall, having at one time a full size cello, a prakticello, two violins for donation, and my Yamaha P-155 keyboard. Rob and I had a joke that we were looking for a string double bass to round out the music collection. I remember just showing up one day with a dress on, and a tote-bag full of my music; piano duets, piano and violin sonatas, cello solos, quartet music, My intent was to show them that I wanted to play and to help in any way I could. Plus those nice practice rooms with upright pianos have fantastic air conditioning and internet! That grew into different connections with the musicians, teachers and students, who were friendly and just wanted to play music together. The school hosts a very impressive program of concerts throughout the year. 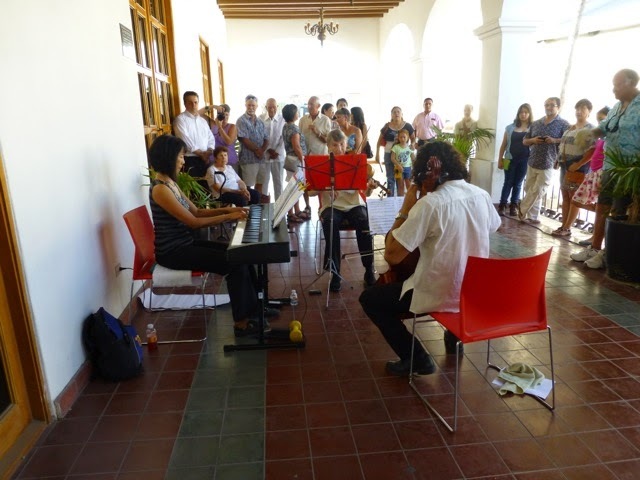 We returned to La Paz in October just in time for their annual week long of International concerts. There were different programs each night, ranging from the dramatic Russian music, solo pianists, string trios, and various ensembles. Rob's mom enjoyed attending several with me as well as Lupita and her younger sister. 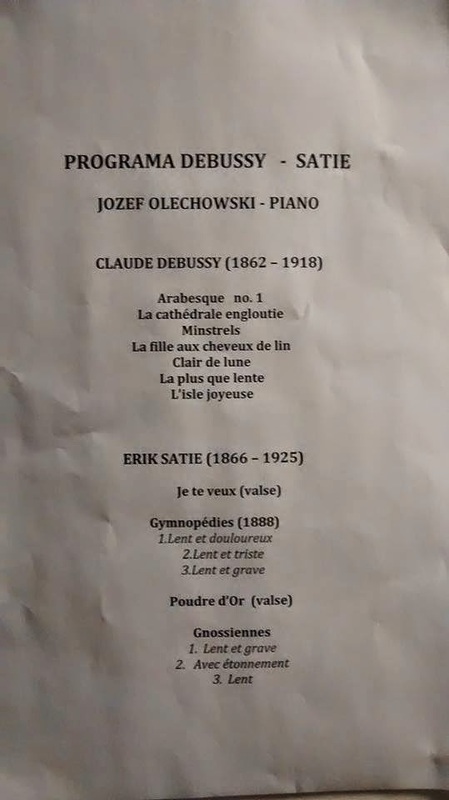 My favorite night was the solo piano with a Debussy program including the beautiful Arabesque #1. 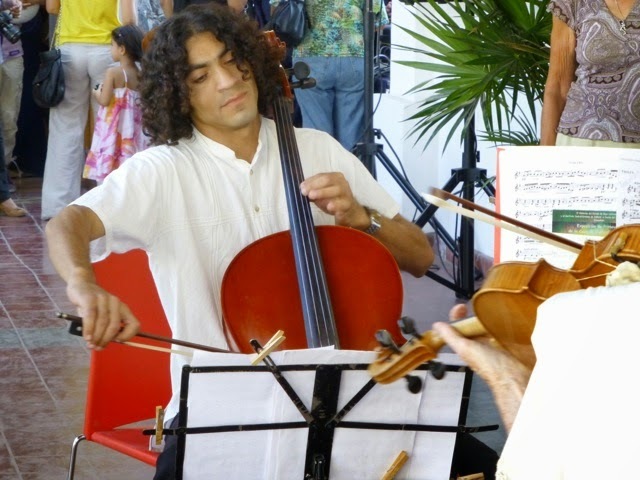 Being a part of the Youth orchestra had a lot of challenges, but all worthwhile. There are language differences, limited communication on schedules - "What, we have a concert tomorrow night?! ", and wondering whether I'll have a full size cello to borrow again...But everything works out well, and my only complaint is not having enough time in town. I am very thankful for the friendships made, and opportunities to play and to appreciate music together. While some of the students are now off in Mexico City at music universities or building violins at Luthier school, there are new friends to be made. And some of them even use Facebook! My appreciation for my conducting friends has magnified! Nancy, kudos to you for making excellent musical use of your time in La Paz. I'm sure you got to see a side of local life that most cruisers don't get to experience. I had to laugh at all your musical instruments on board, and there I was agonizing over whether or not I should bring a tiny ukulele to practice on! Paddling for Wendy - Hello Sunshine!